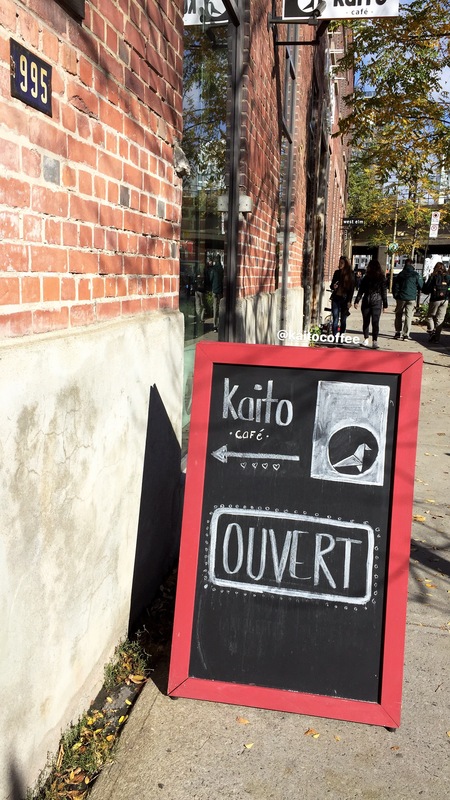 We met Holly and Paul, the dynamic duo behind Kaito Coffee Roasters, earlier this year when we first discovered their coffee at Bref Mtl. Since then, we’ve had the chance to not only visit their roasting facilities in Hudson, Qc., but also collaborate with them for our first ever giveaway. They are absolutely the best: very knowledgeable, as well as transparent and engaged with the coffee community. One of our own rotating staple coffee beans has been their Love blend, which is an essential part of my morning wake-up routine. To make things even better, they just opened their very first coffee shop in Griffintown, inside the West Elm on Wellington Ave. I was quite excited when they told us that this was going to happen, since this now means a permanent location where you can either dash in to grab a bag (trust me, you’ll only want to dash because if you linger, you’ll be spending WAY too much of your hard earned money on home goods at West Elm), or sit down and enjoy a cup of delicious coffee after you’ve shopped to your heart’s content. The location is easily accessible (mind you, parking is a b*tch in Griffintown due to construction), and is near so many interesting boutiques. 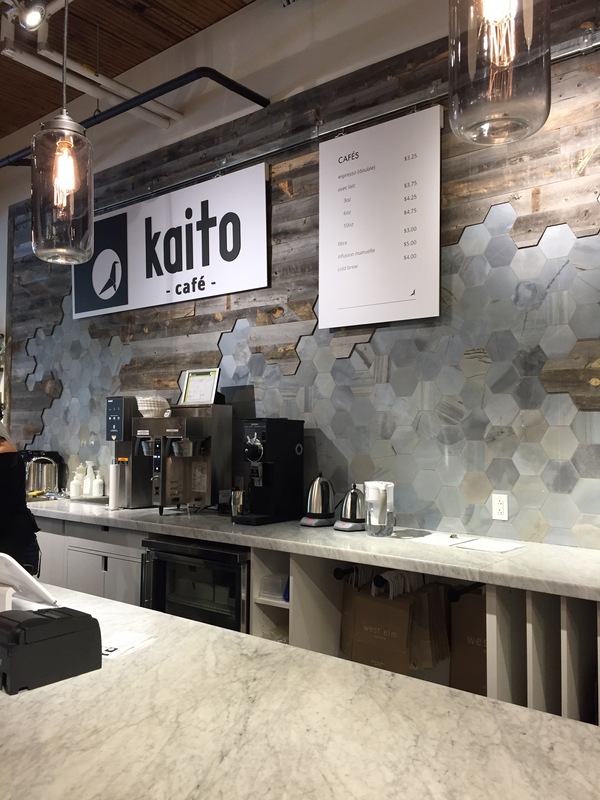 Although it is located inside the West Elm store, Kaito has a BEAUTIFUL section all to themselves. If I haven’t mentioned it already, I would like to have their counter tops and back-splash for my own kitchen… Just saying! If you haven’t read our review on the Love blend, you should. But to ease things for you, this particular blend is excellent on its own as a double espresso, as well as in a latte or cappuccino. As for their other two blends, the Red and Yellow, they vary from time to time, and currently you will find an Ethiopian bean, which has a nice light floral note to it, and I believe they are serving it as a pour-over in store. Delicious! We highly encourage you to make the trip to their store, you really won’t regret it! Holly and Paul, a big congratulation to the two of you!